This resource guide is on general topics relevant to FairPay pricing processes, and on work specific to the related areas of Value-based pricing and Pay What You Want (PWYW) pricing (all forms of co-pricing or participative pricing). This is a work in progress, to be expanded, and may include added topics as they become relevant. As described elsewhere on this site, FairPay is a radically new pricing process that takes elements from Freemium, Value-based pricing, PWYW, Name Your Price, and others, and adds Internet feedback on individual pricing history to create a dynamically adaptive, individualized pricing process that improves upon all of these. As noted below, these studies are strongly suggestive that Value-based pricing is the holy grail, that PWYW is far more promising than generally understood, and that FairPay can be expected to make Value-based pricing effective in B2C markets. A motivation for promoting this work is to identify the benefits of FairPay, and to encourage studies specific to FairPay. Smart Pricing: How Google, Priceline, and Leading Businesses Use Pricing Innovation for Profitability, Jagmohan Raju, Z. John Zhang. Wharton School Publishing; (April 5, 2010). An excellent and very readable overview of many innovative pricing strategies. Has a very current and helpful chapter on "Pay As You Wish," with eye-opening insight into why this deserves more serious attention that one might think (see chapter comments below). Also good background on Name Your Own Price, Subscribe and Save, and Pay If It Works, all of which have some relation to FairPay. Free: The Future of a Radical Price, Chris Anderson. Hyperion (July 7, 2009). An excellent overview of the current crisis in revenue models for digital products/services. Builds a richly developed case for the power of Free (especially in the hybrid form of Freemium, with its many variations), arguing that “eventually the force of economic gravity will win,” driving prices down to zero. The Strategy and Tactics of Pricing (5th Edition), Thomas Nagle, John Hogan, Joseph Zale. Prentice Hall; 5th edition (March 12, 2010). A comprehensive and practical, step-by-step guide to pricing analysis and strategy development. Does not address PWYW or Freemium, and not oriented to digital products/services, but much useful background, including discussion of dynamic pricing models. A current list of publications about FairPay -- the innovative pricing strategy that is the main subject of this blog -- is maintained under the News tab. Extensive information on FairPay and the broader pricing issues it relates to is on this blog -- see the tabs at top. Apparently the first of a flurry of research papers on PWYW. It addresses the value of participative methods to enable individually differentiated prices, and the insights into willingness to pay that are obtained. Notes that the results depend on the proportion of "deal profit" a buyer is willing to share, and that that "is mainly driven by the consumer's fairness, satisfaction, price consciousness, and income" and secondarily, by altruism and loyalty. Pay What You Like. J Fernandez, B Nahata - April 2009, Munich Personal RePEc Archive. Explores motivations for consumers and firms. Notes that PWYW is polar opposite from "buffet pricing (or flat-fee pricing)" [aka "all you can eat"] where consumer decides how much to consume for a given price. Models how consumer maximizes long-term utility by not threatening survival of seller. Seller benefits include reduction in price-setting costs, and maximizing inclusion of consumers in the market (including those with low willingness to pay). Models show "that PWYL pricing would be more successful in sectors where products are more differentiated (or have fewer substitutes) such as music and specialty foods, but would fail in sectors where the service or product is homogenous (or has many close substitutes) such as gasoline." If a market is "sufficiently differentiated it facilitates a voluntary segmentation based on consumers self selection thus making a 1st-degree price discrimination feasible, but without incurring the cost such practice generally requires." Do consumers pay voluntarily? The case of online music. T Regner, JA Barria - Journal of Economic Behavior & Organization, August, 2009. Especially relevant to digital media content (music), insightful real-world analysis of Magnatune, an indie music distributor that applied a PWYW purchase business model with suggested price and min and max (apparently since changed, after a number of years, to a fixed-price subscription model instead of download sales), and which advertises a relatively high 50-50 split with artists. Applies behavioral and game theory to find significant factors to be the seller offering of pre-purchase access to try the product before setting price, as 1) creating a reciprocity motivation in buyer to pay fairly, and 2) reducing a buyer's need to under-price in order to offset risk of buyer remorse (from product disappointment, music being an experience good). Suggests strongest factor motivating good prices may be social reciprocity, but that social preferences ("warm glow"), and guilt (paying less than one should) may also be factors. Finds that individual type differences in their underlying motivation factors are significant in the pricing behavior patterns of repeat buyers. Pay-as-You-Wish Pricing. Yuxin Chen, Oded Koenigsberg, Z. John Zhang. October 30, 2009, working paper. Cites advantages of PWYW as 1) helps a firm to maximally penetrate a market; 2) allows a firm to price discriminate among heterogeneous consumers; 3) helps to moderate price competition. Suggests PWYW penetrates deeply into markets with low willingness to pay, and that it may not require very low marginal costs. Finds a suggested or minimum price to be helpful. Concludes that it enables autonomous price discrimination and thus moderates price competition -- firms "make the profit that fair-minded consumers are willing to give." Suggests buyer-set prices depend on framing, and can involve combinations of anchor pricing (or reference pricing), value pricing (value to buyer), and fair pricing (fair return to seller). Describes conditions where PWYW can increase profits. 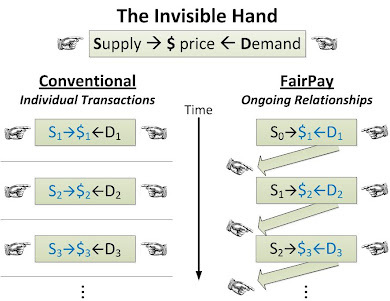 Favors use of a suggested minimum price, and finds key advantage of PWYW as "endogenous price discrimination," enabling sellers to obtain more than a suggested amount from rational buyers, "to earn more revenue and generate more efficient outcomes," and to benefit from reciprocity in the form of a "gift exchange." Substituting Piracy with a Pay-What-You-Want Option: Does it Make Sense? G Grolleau, I Bekir, S El Harbi - CEAFE, tn.refer.org, June 2010. Examines the Radiohead PWYW offer and implications for artists, publishers, and consumers, relative to piracy and fixed prices. Suggests artists and consumers may mutually benefit (and reduce piracy), with publishers being squeezed. Shared Social Responsibility: A Field Experiment in Pay-What-You-Want Pricing and Charitable Giving. A Gneezy, U Gneezy, LD Nelson, A Brown - Science, 7/16/2010. Very interesting findings that adding charitable giving to PWYW can significantly increase total revenue and profit, even over a conventional fixed price. PWYW+charity yielded significantly higher total profit than PWYW without charity, and also more than either a simple set-price, or set-price+charity. Individually, the PWYW buyers paid less than the set-price buyers, but far more of them made a purchase. In this case the product was a photo of the participant taken during an amusement park ride. Purchase rates were very low with standard pricing (at $12.95) and only slightly higher when 50% of that price went to charity. As summarized in the Discover blog, "...But when customers could pay what they wanted in the knowledge that half of that would go to charity, sales and profits went through the roof." Kish: Where Customers Pay As They Wish. Ju-Young Kim, Martin Natter, and Martin Spann. Review of Marketing Science, Special Issue: Marketing Science in Practice, August 05, 2010. Focus here is on a lunch time buffet, finding PWYW very effective for this high fixed cost, low variable cost offering, and an effective customer acquisition method (leading to more profitable full-price dinners). As with earlier study by these authors, fairness and reciprocity are considered key motivators to pay well. 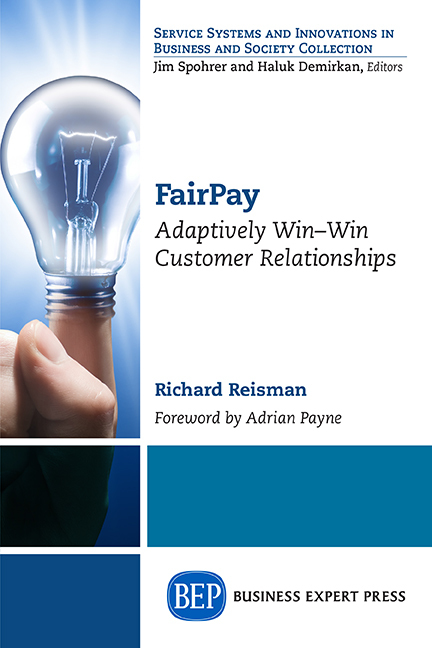 We’re In This Together: How Sellers, Social Values, and Relationship Norms Influence Consumer Payments in Pay-What-You-Want Contexts. Shelle Santana, Vicki G. Morwitz. Under Revision for Invited Review at Journal of Marketing, June 17, 2013. Very interesting study that shows that consumers not only pay more than zero, but sometimes above their reference price, and explores how sellers can influence that. Buyers consider both their own welfare and that of the seller, and this varies depending on (1) their social value orientation (a trait) and (2) whether exchange or communal norms are felt to apply (a situational variable). This is particularly helpful in understanding how to maximize profit under PWYW, and especially under FairPay, as discussed in a blog post. PWYW Pricing ex post Consumption: A Sales Strategy for Experience Goods. Henrik Egbert, Matthias Greiff and Kreshnik Xhangolli. Munich Personal RePEc Archive, 2/4/14. Perhaps the most comprehensive survey to date of PWYW and related forms of voluntary payment (tipping, donations, gifts) -- part of a special issue on that topic. Examines many relevant factors as they relate to voluntary pricing strategies, including product characteristics, consumer-related characteristics, situational variables, relational techniques, and reference prices. Also addresses economic and communicative success, and underlying market motives. The Pay-What-You-Want Game and Laboratory Experiments. Matthias Greiﬀ, Henrik Egbert. Munich Personal RePEc Archive, 11/22/16. Important as the only work I have seen that focuses on the realization that PWYW can be far more effective when done as a repeated game that motivates cooperation and trust than as a single-shot game (as it is so far most common in practice). Defines a PWYW game as embedding the dictator game and the trust game as subgames. The basic repeated PWYW offers may be ended by the seller if results are not satisfactory, giving the seller a level of control and changing buyer behavior to seek to maintain PWYW offers. Concludes that success is enhanced by effective communication and reduction of goal conflicts. 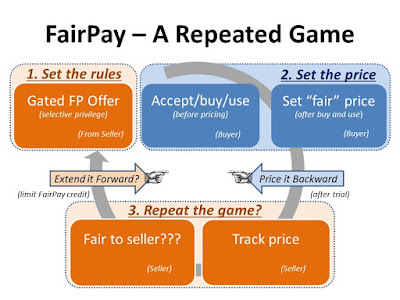 This is essentially the repeated game that FairPay applies, and so this work gives strong support to the expectations of success of the FairPay repeated game. Interesting application of PWYW to journal publishing supported by author publication fees (as an alternative to reader fees). Promising early results, including the useful finding that, after listing a suggested price, having customers set the price as a discount (even allowing 100%) leads to higher payments than setting the price itself. Beyond Posted Prices: the Past, Present, and Future of Participative Pricing Mechanisms. The Wikipedia entry on Pay What You Want also contains useful background, including actual business examples. Note to businesspeople: Many of the above works are not easy reading, and are based on advanced mathematical models with simplifying assumptions, or on analysis of simplified experiments. Nevertheless, they are generally consistent, and all suggest interesting conclusions that can be gleaned from scanning of selected sections. The caveat, of course, is that both experiments and mathematical models are only as relevant as the particular cases and assumptions (often oversimplified or different from cases of interest), and may be best taken as suggestive examples. Other Pricing Models -- Value-based, Performance-based, Outcomes-based, Freemium, Micropayments, Microdonations, Post-pricing, Usage-based, etc. Beyond the Deadweight Loss of "All You Can Eat" Subscriptions.